Shed cupolas are made of low maintenance, white PVC and can be painted any colour. 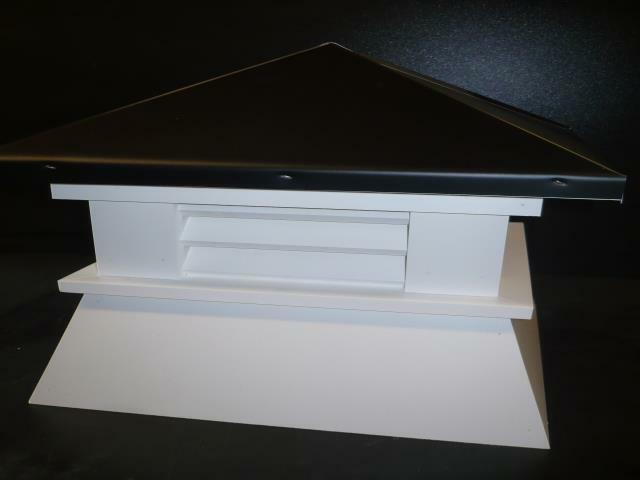 Aluminum roofs come in black or brown only. Cuts to fit any roof pitch.